Save 20% on your Social Locker Business License. Get more value from your traffic with minimum effort. 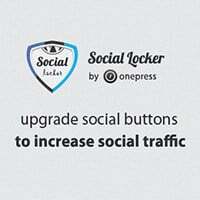 Lock your best content behind social share buttons for a win win marketing strategy where you get more social shares and your readers get more juicy content!